Social Responsibility has been more and more a major issue for the companies, and highly influences their goals, missions, values and customer service framework. At PLC Advogados, social responsibility is a matter of state of mind for all its professionals who are engaged and committed with the precepts of compliance, social responsibility and corporate governance. At its office facilities, everyone is committed with a sustainable environmentally friendly police regarding power and water consumption, and waste selective collection and residue recycling. 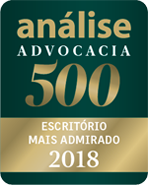 Concerning the social aspect, PLC Advogados provides support to CAPE, which’s a sheltering house named ‘Casa de Acolhida Padre Eustáquio’ that provides assistance and stay for children and their companions for the time required to them to undergo medical treatment in the city of Belo Horizonte.